Fantastic Copyright Free ia a free wordpress plugin to add a Copyright notice to the bottom of your WordPress site. Type Fantastic Copyright Free in the search field and click Search Plugins button. Login to wp-admin. 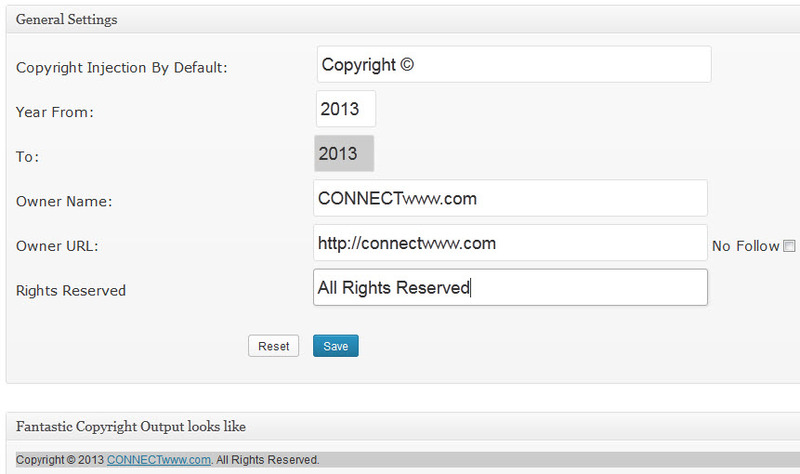 In your admin dashboard click plugins and activate the Fantastic Copyright Free wordpress plugin. In your admin dashboard click Settings and select Fantastic Copyright Free to change the options.